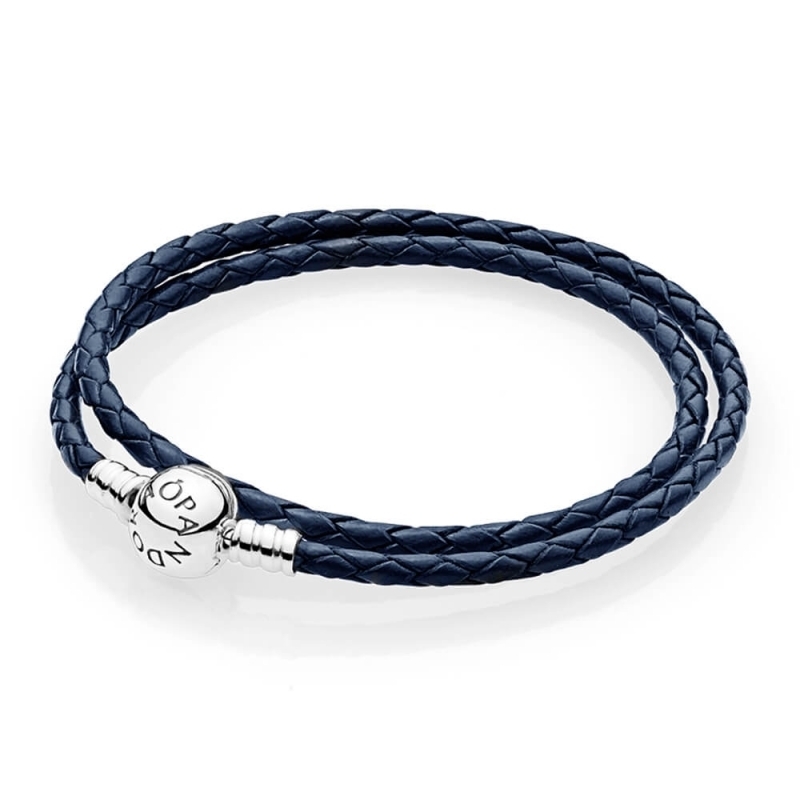 PANDORA Moments Double Woven Leather Bracelet - Dark Blue. Made from 100% genuine zebu leather, this gorgeous double woven bracelet is finished in a lovely navy hue, complete with sterling silver PANDORA round clasp. Just what my wife wanted.